The New Moon in the late degrees of Aries was in conjunction with two distant minor planets, cubewano 1992 QB1 and centaur planet Pelion. 1992 QB1 was the first body found beyond Neptune since the discovery of Pluto in 1930. It has changed signs from Aries to Taurus recently. The New Moon’s conjunction to Pelion at 26+ degrees Aries was tighter than its conjunction to QB1. 49036 Pelion is a centaur planet discovered on August 21, 1998. Its orbital period around the Sun is about 89 years, a little longer than that of Uranus. The orbits of the centaurs are elliptical. They usually cross one or more of the rounder orbits of the main planets, and therefore they are called orbit-crossers. Uranus is the only main planet whose orbit Pelion crosses. In 1998, when Pelion was found, Uranus was moving in its own sign, Aquarius. In its discovery chart, Pelion was in strict conjunction with Uranus. Uranus is the planet of inventors, innovations, and crossing of boundaries. Aquarius is concerned with humanity and social equality. The sign is associated with electrical waves and technological advancements. Planets in Aquarius tend to operate in unconventional manner. Is Pelion’s conspicuous involvement with Uranus just a coincidence, or does it offer clues on Pelion’s astrological meaning? Pelion has remained with very little notice so far, perhaps because its name does not refer to any mythological character, but a place. In many case, when astrologers try to establish the meaning of a new planet, they take into consideration the myth behind the name. Pelion is a mountain in Thessalia, Greece. In Greek mythology, Mount Pelion took its name from the mythical king Peleus, father of Achilles. Mount Pelion was the homeland of Chiron and other centaurs. It was the place where Jason and the Argonauts started their quest for the Golden Fleece. The ship for this voyage, Argo, was built from wood from the trees of Mount Pelion. It was also where the wedding to which Eris was not invited took place. Another means, when trying to establish the meaning of a planet, is to look at the news around the discovery time. What was happening in the world at the time? The first RFID passports were issued by Malaysia in 1998. The abbreviation RFID means radio-frequency identification. The passport’s critical information is both printed on the data page of the passport and stored in a microprocessor chip. The biometrics used for this type of identification system is fingerprint recognition, for example. RFID tags can be used to track people, cars, and mobile phones. They can be used to pay on bus, trains, or subways, or to collect highway tolls. RFID tags for animals represent one of the oldest uses of RFID. You may get your lost dog back, if there is a microchip implant under its skin. A cyborg, the shortening for “cybernetic organism”, is a being with both organic and biomechatronic parts. The term covers a wide variety of beings. In principle, someone having an artificial cardiac pacemaker can be called a cyborg. 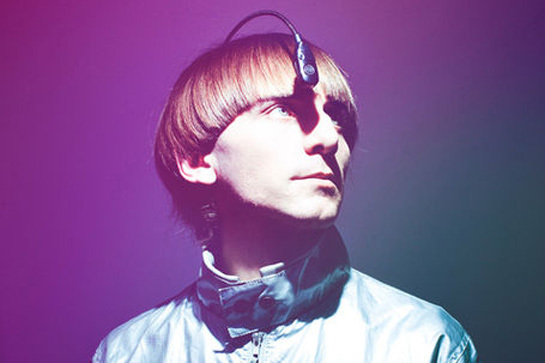 Neil Harbisson is probably one of the most famous cyborgs in the world. He is a contemporary artist and cyborg activist with an antenna implanted in his skull. He was born with extreme color blindness and has always seen only in grayscale. The antenna allows him to hear colors. In 2010, he co-founded the Cyborg Foundation, an international organization that helps humans become cyborgs and promotes cyborgism as an art movement. The term cyborg was coined in 1960 by Manfred Clynes and Nathan S. Kline. “Space travel challenges mankind not only technologically but also spiritually, in that it invites man to take an active part in his own biological evolution. Scientific advances of the future may thus be utilized to permit man’s existence in environments which differ radically from those provided by nature as we know it,” they wrote in their article Cyborgs and space, published in Astronautics in September 1960. Manfred Clines has a Chiron-Pelion conjunction in Aries. In popular culture and fiction we have become acquainted with creatures like Darth Vader and the Terminator. The television series The Six Million Dollar Man in 1970s was based on a novel by Martin Caidin titled Cyborg. Caidin has a Chiron-Pelion conjunction in Taurus. Also his Moon is somewhere near the centaur conjunction. “We are all cyborgs now,” says Amber Case, a cyborg anthropologist. She studies the symbiotic interactions between humans and machines. “Technology is evolving us, as we become a screen-staring, button-clicking new version of homo sapiens.” However, she thinks that the machines are helping us to be more human, because they are helping us to connect with each other. In social network we have to start to maintain our second self though. She is also worried about people not taking time for mental reflection anymore, because they are too busy checking their phones and emails all the time. Our cell phones, computers and social networks allow us to contact our friends all over the globe at any time. The whole world has become our “Mount Pelion”. The mythical centaurs were half-man, half-horse creatures. They remind us that there is also an animal side in us humans. Even if the contemporary man is changing to a cyborg, we are still humans, and we need to cultivate our human side. This entry was posted on Tuesday, April 21st, 2015 at 12:14 am	and is filed under New Moon. You can follow any responses to this entry through the RSS 2.0 feed. You can leave a response, or trackback from your own site.